Small wood pipes are about 3.5 inches Long. These pipes are made of wooden. 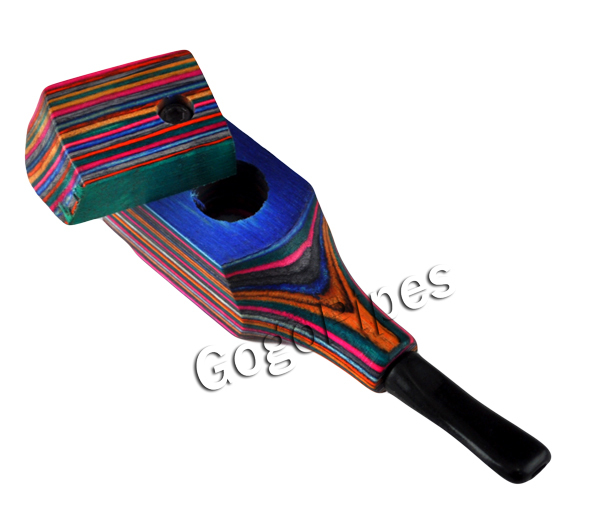 High Quality pipes have the rainbow colors.shop from trusted online store. Pros: Nice size. Cool colors. On sale! Cons: The square edges on the pipe make it kind of painful to open and close the lid. Lid is tough to open but that can be fixed with an Allen wrench. When open the lid sits too close to the burn hole so you will burn the lid every time you light up. And lastly the mouth pieces keep falling out. Comments: I was excited to get this pipe because it is hard to find pipes with lids these days. If I had paid full price for this pipe I probably would have sent it back. It will make for an ok backup pipe. Will buy the other lidded pipe and hope it is better.